Truco supplies a comprehensive range of specialised hoses designed explicitly for use in niche oil & gas applications. They are engineered and manufactured to withstand the rugged conditions associated with oil & gas drilling, pumping, transferring and cleaning, among other application uses. 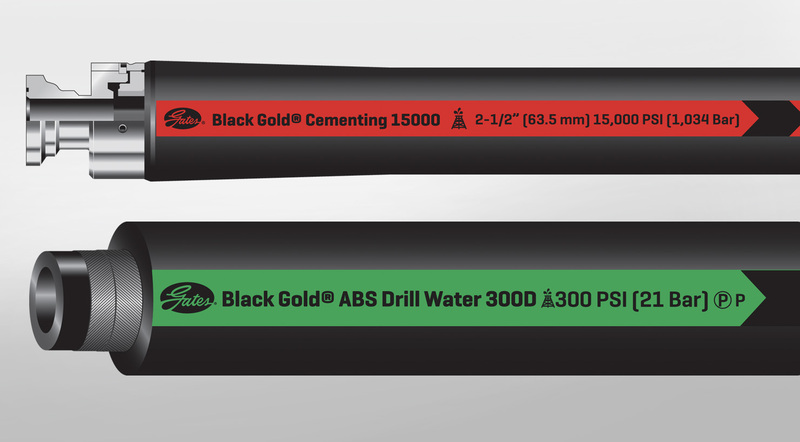 Truco is Gates' sub-Saharan African supplier for oil & gas hoses, which makes them the go-to company for hoses tailored for use in the upstream, mid-stream and downstream oil & gas markets. Gates' manufacturing expertise allows us to supply fully assembled bonded and swaged hoses months in advance of any local competitor -at cost-competitive prices. 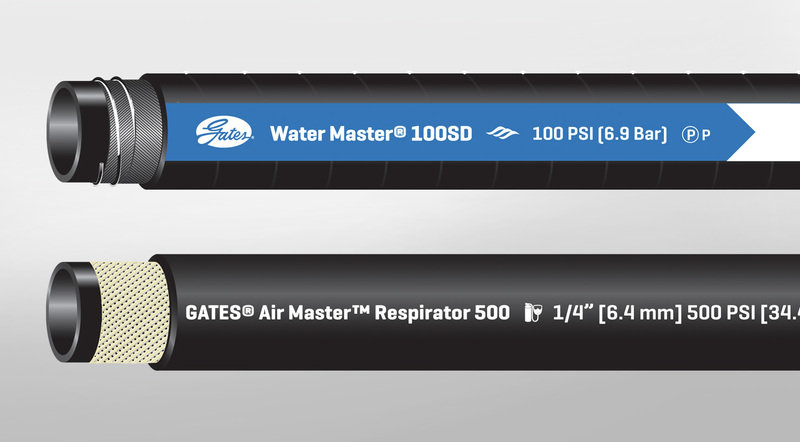 Gates oil & gas hoses are ideal for high-pressure water distribution, hot water wash down, hydraulic lines, air drill, and pneumatic equipment applications. 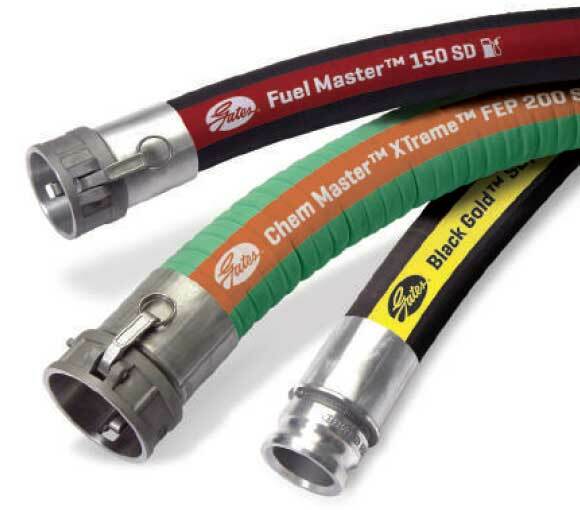 For fluid and materials transfer applications, this range of industrial transfer hoses handles water suction and discharge, detergents, hydraulic fluids, dilute acid solutions, alkalines, glycol, oils, petrol, fuel oil and lubricating oils. The entire range is resistant to heat, cold, oil, abrasion, ozone, and weather for long service life in the harshest conditions. As a supplier of oil & gas hose solutions, Truco provides hose accessories, along with hose fittings and clamps for its range of Gates' oil & gas hoses. Phone +27 11 762 5291 now for specification advice, plans and pricing, or complete the enquiry form and a consultant will contact you. Hoses in the upstream market for the oil & gas industry are tailored to the industry's drilling aspect, be it from a flotation vessel, land rig, jack-up platform, semi-submersible or submersible platforms. 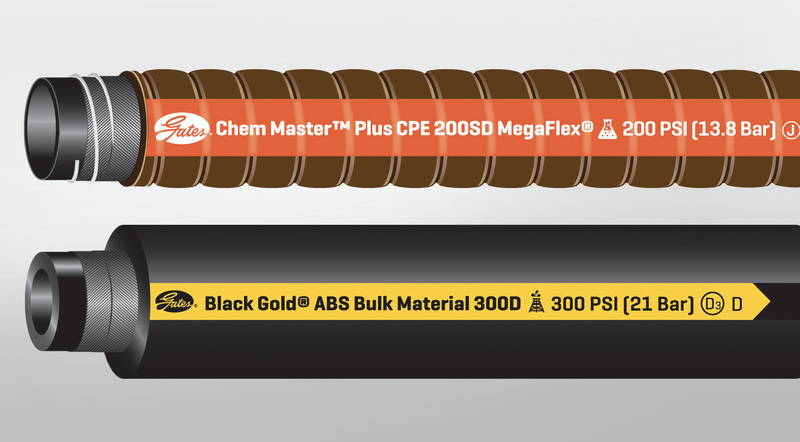 Mid-stream oil & gas hoses are tailored for use with FPSO vessels, road and railway tankers for safe and effective fuel delivery. They deliver crude oil to refineries or the finished product to petrol service stations. 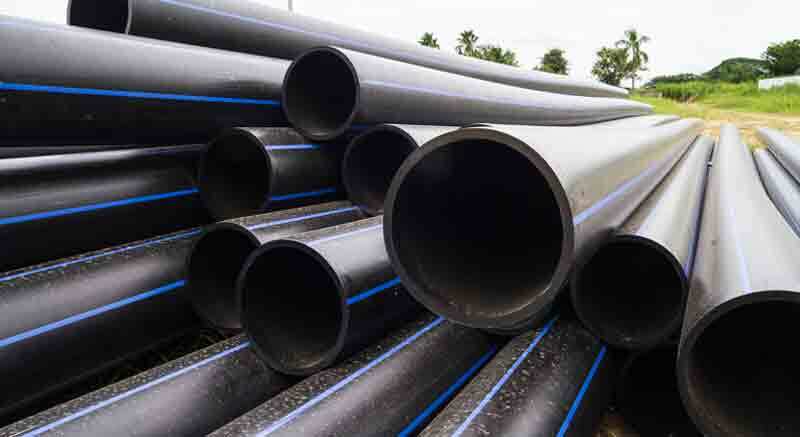 Hoses in the downstream oil & gas market are tailored for use with steam, water, air and nitrogen - and variants thereof, covering a multitude of applications in the downstream oil & gas industry. Make the most of Truco's extensive stock holding! Enquire or phone +27 11 839 2370 now for plans and pricing on oil & gas hoses. Truco has offices in Johannesburg, Gauteng, Cape Town and Durban - and distributes hoses nationally and into Africa. The basic information required can be obtained by using the acronym "STAMPED"
Get advice, plans and pricing for oil & gas hoses today.